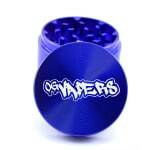 This 4-piece aluminum grinder and sifter from OG Vapers is comparable to high end grinders at a reasonable price. 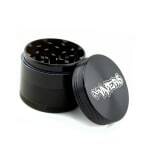 The razor sharp teeth are perfect for breaking up your dried herbs and the sifter allows you to save your finer materials in one of the 2 storage compartments. 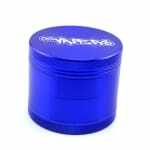 At 2.2" this grinder has plenty of storage space in both compartments. Step up your ginder game and get an OG Vapers grinder. 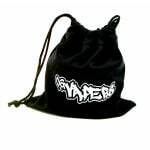 Also comes with a carry bag. 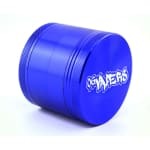 i love this grinder. the teeth are non stick so it has a smooth grinding experience. 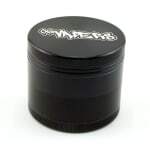 the magnets are really strong and the storage compartment and crystal catcher is a great size.